I'm a huge fan of plaids for the holidays. Actually, I'm a huge fan of plaid any time of year! 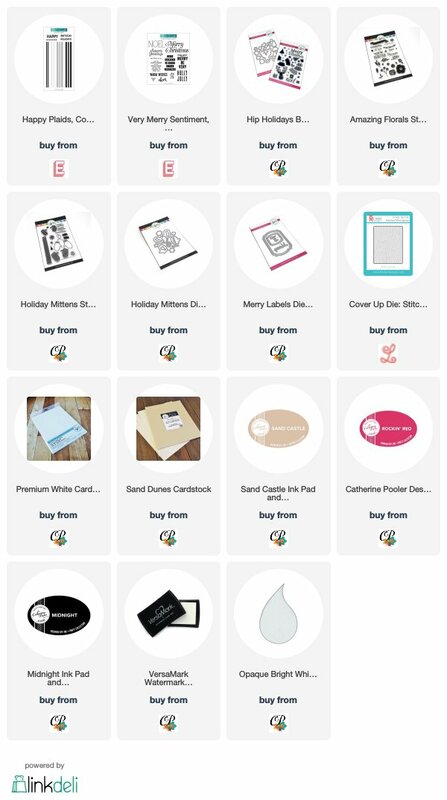 So it only made sense that the Happy Plaids stamp set from Concord & 9th made its way into my cart. Sure, I have other plaid sets, but what I love about the Happy Plaids stamp set is that I can build my own multi-colored plaid backgrounds with it. 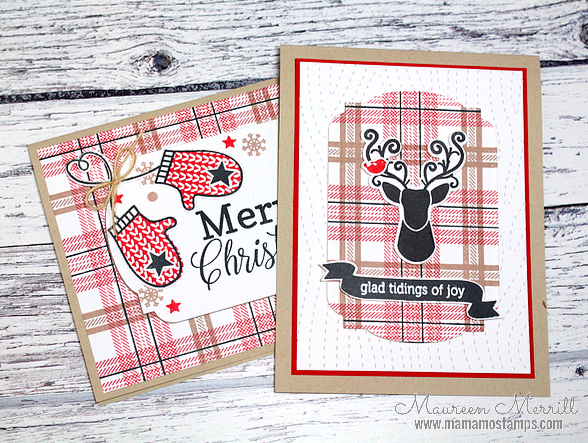 I'm on a kick of making two or more cards using the same product lately, so I have two cards for you today using the Happy Plaids stamp set, along with Catherine Pooler Designs products! 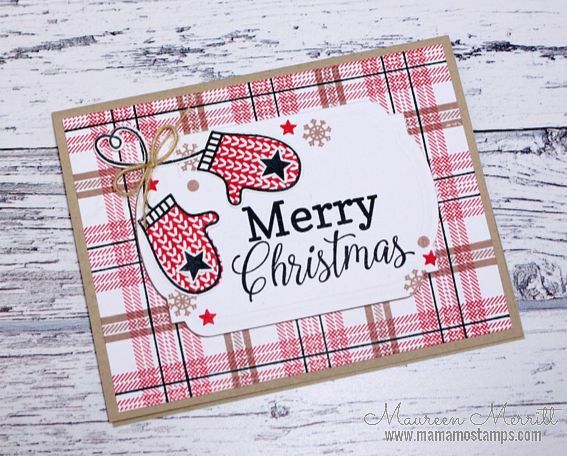 I started by creating a plaid background using Rockin' Red, Sand Castle and Midnight inks. I trimmed the background piece to 4 x 5 1/4", then I created a focal point using the Merry Label die, a sentiment from Hip Holidays and the Holiday Mittens stamp set. I die cut the center of the background piece and set it aside to use on my second card. I could have inset the label die but popped it up instead for added dimension. I assembled all of the pieces and added them to a Sand Dunes card base. This card uses the negative piece of the first card. I again built my focal point on the label. Though CAS, this card has lots of little details! I love the country feel here! I may have to do this again using greens for an more rustic result. I hope you enjoyed my projects today!